The first book to analyse the problems currently facing Irish regions and to critically evaluate the government's National Spatial Strategy. For the first time in its history, the Republic of Ireland faces serious regional problems, such as infrastructural bottlenecks and unbalanced development, which may undermine future national prosperity. The government's response has been to prioritise balanced regional development as a national objective in the National Development Plan: 2000-2006 and to recently launch the National Spatial Strategy: 2002-2020. 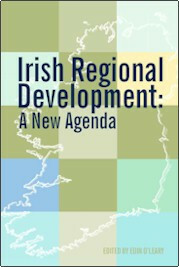 This book is the first to provide a comprehensive analysis of the problems currently facing Irish regions and to analyse, from an economics perspective, the key drivers of Irish regional development. It is also the first book to critically evaluate the National Spatial Strategy. Its contributors include internationally respected, mostly Irish-based, regional economists presenting accessible and thought-provoking analyses, and setting a new agenda for Irish regional development. The book will be of interest to the ever-growing number of local and regional lobbyists, public servants and policymakers; regional specialists working in government departments and agencies, research institutes, consultancies and third level institutions; and members of the general public who are concerned about Irish regional issues. It will also be useful for third level undergraduate and postgraduate courses in such areas as economic growth and development; regional/business competitiveness; human geography and urban and rural planning. Eoin OLeary lectures in the Department of Economics at University College Cork.